This performance ensemble broadly examines the field of music improvisation and is open to musicians of all genres who seek to explore omni-idiomatic improvisation, listening and performance strategies for the improviser, and engagement with visiting artists in the field. The ensemble is led by Jason Finkelman, who performs on African and Brazilian percussion and laptop electronics. Finkelman is a founding member of the ambient, avant world trio Straylight and has performed with a diverse range of improvising artists including Pauline Oliveros, Roy Campbell, Jr., Steve Gorn, and Vernon Reid. In Fall 2018 students will have opportunities to engage with our featured IE artist-in-residence Renée Baker, and other visiting artists including Brandon Seabrook, Avreeayl Ra, Ed Wilkerson, Jr., and Karuna featuring Adam Rudolph, Hamid Drake, and Ralph Jones. NOTE: Open to musicians outside the School of Music by permission of the instructor. 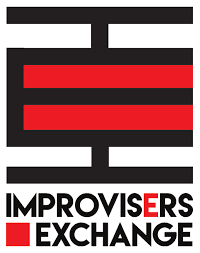 Improvisers Exchange is a two-year initiative deeply investigating the field of music improvisation. This multifaceted program features performance and engagement residencies by leading artists representative of a wide spectrum of the practice, initiates a new performance course on improvisation for students, and promotes scholarly discourse through lectures and panel discussions. This ambitious project will introduce our campus and community to leading artists practicing non-idiomatic approaches to the music, others rooted in jazz and avant-jazz heritages, and master improvisers representing folkloric traditions of the world. Jason Finkelman (KCPA) and Mike Silvers (Musicology) are CAS Resident Associates for AY2018-19, which includes a graduate seminar (MUS 523/CAS 587) in Spring 2019.